Many studies have shown that human body and blood comprise about 70% and 71% water. Recently, there is a popular conception stating the recommendation of eight glasses of water a day, but many people see it as fallacy; thereby find it very difficult to achieve. Though, water is essential for body functions, preventing many health conditions and enhances overall body performance. However, there has been no global consensus on the amount of water to be consumed per day. It has been observed that many unhealthy drinks have taken the place of water especially when one is feeling thirsty. This is yet a new study that clears the air on why you should drink water when feeling thirsty. Have you asked yourself why Americans are recently going around with water everywhere they go? This was based on the old notion that the body needs adequate water to keep hydrated throughout the day. 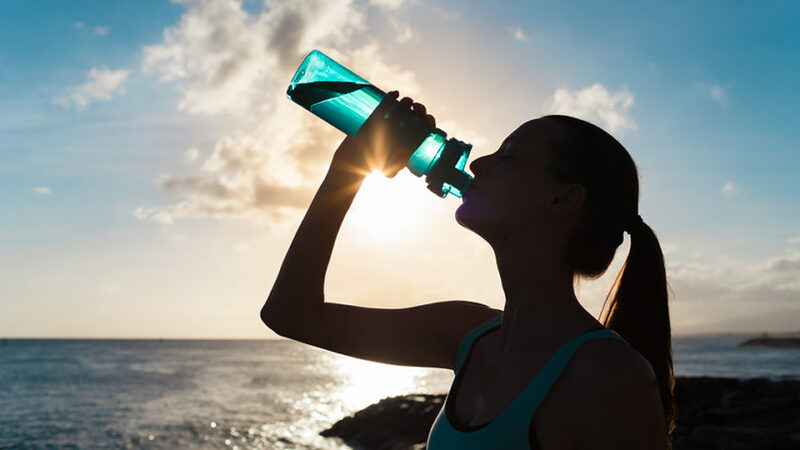 This recent study has further bolstered the benefits of water in the body and that nothing worth taking the place of water when one is feeling thirsty. This article will look in-depth into this new study and how it can be beneficial to your overall body. The first question is “how much water do you need to drink for daily body function?” Read on to discover. Amount of Water needed for Daily Body Function? There are pieces of mixed evidence of the information that claimed a stated amount of water per day. What has made this claim inaccurate is that our bodies are of different shapes and sizes; hence, we have different needs for water based on our bodies. The rule of thumb generally states that we should drink at least 8 glasses of water daily. However, there hasn’t been any scientific evidence supporting this rule to date. Going by different studies to date, a recommendation was made based on gender. The Institute of Medicine (IOM) suggests that men and women should drink about 3 liters and 2.2 liters of water respectively every day, as contained in Medical News Today’s post. On the contrary, the new study is more explicit and suggests that only water (not with other liquids) should be consumed when one is feeling thirsty. This new study comes up with this recommendation after learning what makes excess water consumption a challenge to many people. According to a Bio-medicine Discovery Institute’s group study of Michael Farrell and co., as posted by Medical News Today, drinking only water when feeling thirst is beneficial to the body. However, it is in the habit of many people to take liquids such as beverages, soft drinks, and much more when they are feeling thirst. This has been condemned by the new study after series of research carried out by specialists. This will be looked into in different areas. Let’s dive into it. The new study discovered water activity in the brain during the research, based on a reasonable number of participants. These participants were asked to consume an adequate amount of water as soon as they finish exercise or training (as they were feeling thirst) and also in the later day (when they were not feeling thirst). The participants were then asked to rate each condition based on their feelings. How difficult was it to drink water in each condition? In the second condition, where water was consumed later in the day when they were not feeling thirst, the participants confirmed that it was more challenging to drink water in this condition compared to when they were feeling thirsty immediately after exercise as contained in Newswise’s post. 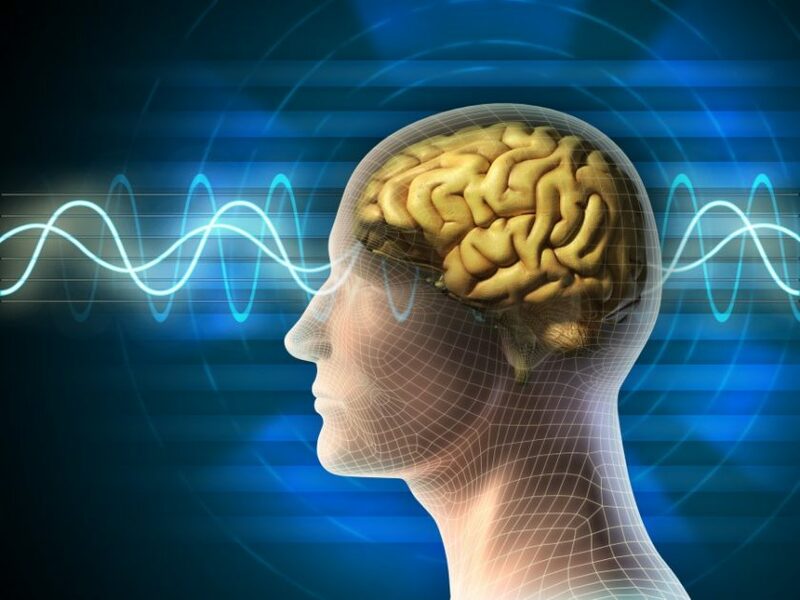 The brain activity of each of the participants was measured using functional Magnetic Resonance Imaging (fMRI) prior drinking water in the two experimental conditions, and it was discovered that a portion of the brain displayed symbolic activity when the participants were trying to swallow the water. According to Dr. Melanie Hoenig, an assistant professor at a Medical Center of Harvard-affiliated Medical School as contained in Harvard Men’s Health Watch publish, he states that you don’t need to drink 8 glasses of water daily to be healthy as claimed by some studies. He further states that the body water requirement is based on different factors such as weathers, activities, and much more. Farrell and his team also emphasize that too much consumption of water can lead to significant problems such as hyponatremia, issues for people living with heart failure, and much more. Michael Farrell also noted in his claim that there occurred some cases when some athlete participants in marathons and drank excess water more than what is required by their body at that particular time by simply followed the rule of thumb of 8 x 8 glasses of water but died in the process. In this new study, the researchers conclude and suggest that it is far better to follow the body’s requests for water when it comes to water consumption. Rather than following an unsupported schedule water intake, it is more beneficial to drink water according to thirst, when our body is in dire need of it. There are numerous health benefits of water intake to overall body health which makes water an essential liquid to drink rather than other liquids. Let’s quickly state out some of these benefits for more understanding. The roles of water in the body cannot be overemphasized. If your body does not get what it needs at the appropriate time, you may get dehydrated. Some people find it very difficult to drink water because they are ignorant of its benefits. Water helps in energizing the muscles: During exercise, we over-stress our muscles which make us loose fluids in our muscle cells. Muscle cells cannot perform excellently if there is an inadequate fluid in the cells. Hence, the need to consume water during and after exercising or physical activity to replenish the fluid loss during muscle fatigue. Water maintains the body fluids balance: The body functions well in the presence of liquids such as water. Most of the body functions such as digestion, blood circulation, nutrients transportation, absorption, saliva creation, and control of body temperature require water. Generally, when the body needs water, the brain via the posterior pituitary gland, communicates with the kidneys to signal the body’s thirst mechanism. It is highly healthy to listen to the call and drink only water at this stage rather than alcohol, coffee, and much more. 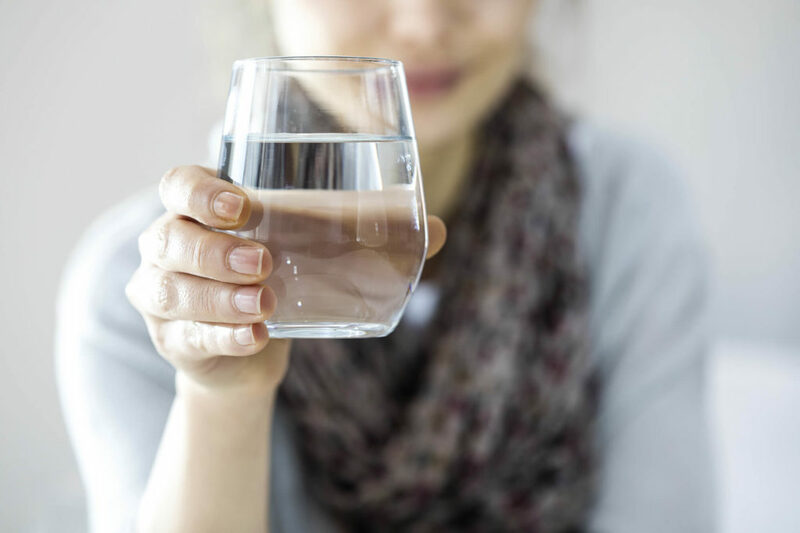 Water keeps skin healthy: According to Kenneth Ellner, a Medical Director of Atlanta dermatology, he says, if your skin is dehydrated, you at the risk of skin diseases such as wrinkle, acne, or other fine lines on the skin. A properly hydrated body produces adequate fluids to keep the skin healthy and looking good. Water helps control the body weight: People with obesity have been studied to use adequate water consumption when feeling thirsty to control calories in their body; thereby helps them in their quest to reduce weight. Water helps keep normal function of the bowel: If you are feeling thirsty, always know that some organs need water to function optimally. Proper hydration helps fluids to circulate in the body and especially along your gastrointestinal tract. This prevents constipation and as well as aids proper food digestion. What about kidney functions? Water helps kidney transports unused products such as toxin in and out of the cells. Just as water covers the largest percentage of the earth, likewise the body. The body uses water every time, and its shortage can subject your body to many health conditions. There have been many studies on water consumption, and most of them encourage adequate water intake. This new study has gone further to show that drinking only water when feeling thirsty is even more beneficial to the body than subjecting yourself to 8 glasses of water daily principle. When you are feeling thirsty, your body needs water at that particular period than any other periods of the day. In the light of the above, it is suggested that you give your body what it needs and ensure it is only water, and not with other liquids. Next Next post: How Do You Treat An Allergic Reaction?